John Henry Sununu (born July 2, 1939) is a former Governor of New Hampshire (1983–89) and former White House Chief of Staff under President George H. W. Bush. He is the father of John E. Sununu, a former senator from New Hampshire, and formerly a U.S. Representative. Sununu is the current chairman of the New Hampshire Republican Party. Sununu was born in Havana, Cuba, the son of Victoria (née Dada) and John Saleh Sununu, an international film distributor. He is Roman Catholic and his father is of Lebanese descent. His father's family came to the United States from the Middle East at the beginning of the twentieth century. Most of the last two generations of Sununus were also born in the United States. Most of his closest relatives in Beirut have died, including a relative who returned to the Lebanese capital from the United States several years ago. He earned a BS in 1961, a Master's degree in 1963, and a Ph.D. in 1966 from MIT, all in mechanical engineering. Sununu is a member of Phi Sigma Kappa fraternity. Sununu became New Hampshire's 85th Governor on January 6, 1983, and served three consecutive terms. He served as chairman of the Coalition of Northeastern Governors, the Republican Governors Association and, in 1987, the National Governors Association. Sununu was the first White House Chief of Staff for George H. W. Bush, serving from 1989 to 1991. Time magazine dubbed him "Bush's Bad Cop" on the front cover on May 21, 1990. He resigned his White House post in 1991. Sununu is responsible for recommending David Souter to President George H. W. Bush for appointment to the Supreme Court of the United States, at the behest of New Hampshire senator Warren Rudman. The Wall Street Journal described the events leading up to the appointment of the "liberal jurist" in a 2000 editorial, saying Rudman in his "Yankee Republican liberalism" took "pride in recounting how he sold Mr. Souter to gullible White House chief of staff John Sununu as a confirmable conservative. Then they both sold the judge to President Bush, who wanted above all else to avoid a confirmation battle [after Robert Bork]." Rudman wrote in his memoir that he had "suspected all along" that Souter would not "overturn activist liberal precedents." Sununu later said that he had "a lot of disappointment" about Souter's positions on the Court and would have preferred him to be more similar to Justice Antonin Scalia. Sununu co-hosted CNN's nightly Crossfire from March 1992 until February 1998. Sununu holds deeply conservative economic and social views and as an engineer, he supports the expansion of nuclear energy. He is fiercely against the imposition of new taxes. He is married to the former Nancy Hayes, and they have eight children, including former U.S. 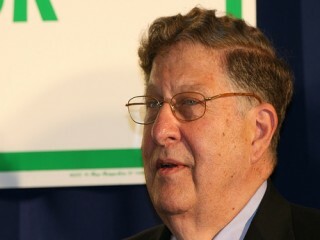 Senator John E. Sununu. In recent years, he moved to Hampton Falls, New Hampshire. He and his wife were subsequently elected as the town's honorary hog reeves and poundkeepers. Sununu has met the eligibility requirements for the Mega Society, the world's most exclusive high-IQ society, which accepts only those who score in the 99.9999th percentile on IQ tests (Mensa, for example, accepts the top 2 percent). Sununu's daughter Cathy is the president of the Portsmouth Museum of Fine Art in Portsmouth, New Hampshire. View the full website biography of John H. Sununu.